Topo’s original Runventure shoe debuted in 2015, and it was comfortable and durable enough for us to use in mountainous 100-milers that fall. The Runventure 2 features a couple of design tweaks and borrows a bit from Topo’s other running models, while maintaining the same ruggedness and comfortable fit of its predecessor. 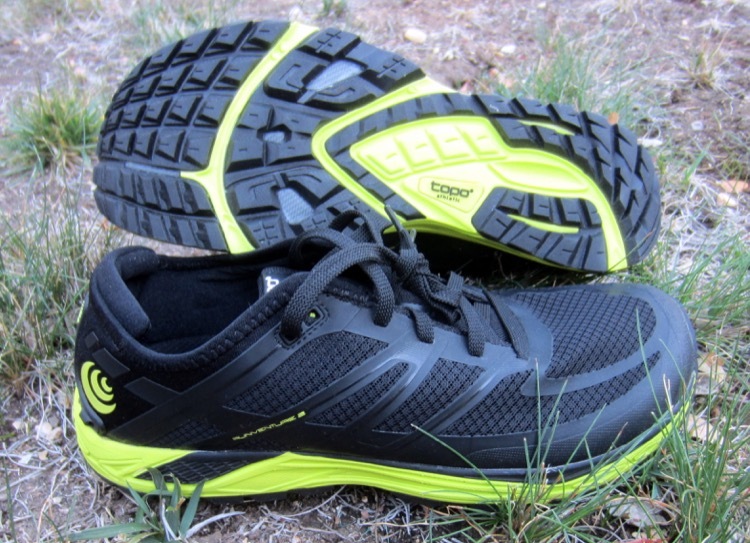 It is the lightest shoe in the Topo trail running lineup, and the only one built on a zero-drop platform. 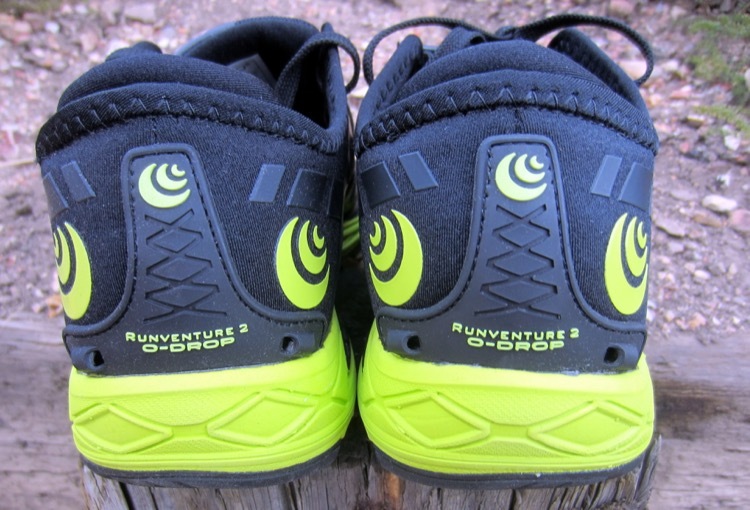 The original Runventure had the same 19mm stack height in the heel, but a 2mm heel to toe drop; version 2 raises the forefoot up by 2mm to be level with the heel. Another notable difference is the decreased footprint of the flexible rock plate; the previous version had a full-length plate, but the new model has just a forefoot plate to shave a bit of weight but maintain protection where it’s needed most. The zero-drop platform also helps promote midfoot or forefoot strike, further decreasing the need for a rock plate in the heel. This version of the Runventure uses the outsole lugging previously seen on the Terraventure; the lugs are deeper than on the original Runventure, with improved traction and durability. Another borrowed feature is the relaxed heel construction that is found on Topo’s ST-2 road runner; this is ideal for anyone who has Achilles issues and prefers a soft fit around the rearfoot. We haven’t had an issue with debris getting into the heel collar, but if you’re concerned about this, the Runventure 2 features a 3-point hook system to attach gaiters; Topo also sells a durable Lycra gaiter separately for $20 that complements the Runventure 2 perfectly. Minor adjustments to the upper include a slightly softer and more flexible mesh material, with the same protective toe bumper around the anatomic foot box for forefoot protection. We’ve found the shoe to ventilate and dry quite well in wet circumstances. Model Weight (in oz) Stack Heights (heel/forefoot) Rock Plate? 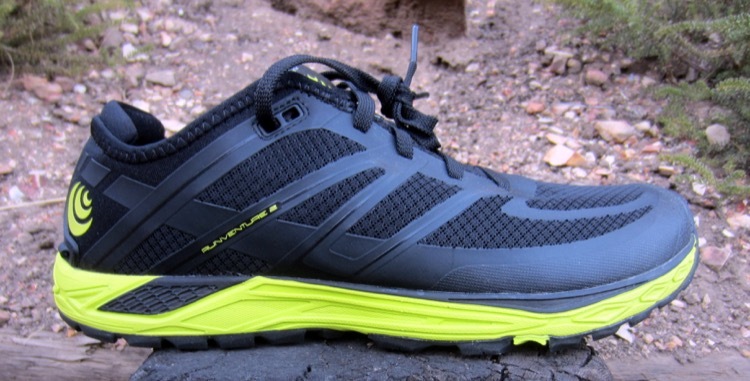 The Runventure 2 is the lowest profile model of the group, nearly the lightest, and has additional underfoot protection that the MT-2 doesn’t offer. Our initial miles in it have been very satisfying, and we wouldn’t hesitate to use it for long duration and high demand conditions. 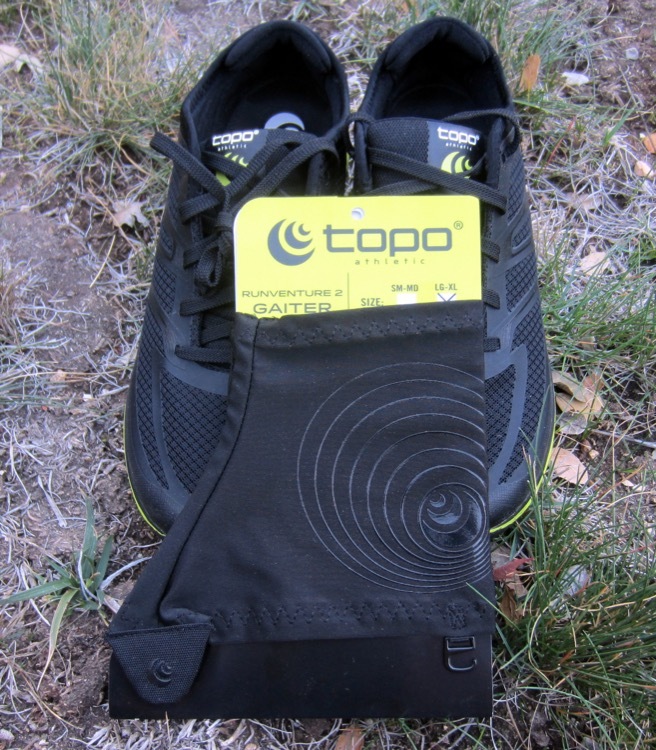 Topo Athletic’s Runventure 2 is now available at www.topoathletic.com.